Create amazing style in your designs with this TierraCast large-hole bead. The hole in this bead is large enough to fit over leather or rubber necklaces. The surface is decorated with a Celtic knot pattern full of intricate detail. Pair it with your favorite charm or pendant in a St. Patrick's Day design or any other elegant look influenced by Celtic style. This bead features a versatile silver color that will work with any color palette. You'll love decorating jewelry designs with this TierraCast bead. This bead takes on a diamond shape and it is decorated with a Celtic knot pattern. This is a great option for St. Patrick's Day or any look that needs some Celtic flair. Showcase this bold bead in long necklace strands or bracelets. The versatile silver shine will work with any color palette you may have in mind. You can bring fun detail to your designs with this TierraCast bead. This bead is circular in shape and the surface is decorated with a Celtic knot pattern. It's a great option for St. Patrick's Day designs and any other project that needs some Celtic flair. Showcase this bead in long necklace strands, a fun bracelet, or even earrings. It features a regal gold shine full of classic beauty. You can bring fun detail to your designs with this TierraCast bead. This bead is circular in shape and the surface is decorated with a Celtic knot pattern. It's a great option for St. Patrick's Day designs and any other project that needs some Celtic flair. This versatile bead will work in necklaces, bracelets, and earrings. This bead features a versatile silver shine that will work with any color palette. Create amazing style in your designs with this TierraCast large-hole bead. The hole in this bead is large enough to fit over leather or rubber necklaces. The surface is decorated with a Celtic knot pattern full of intricate detail. Pair it with your favorite charm or pendant in a St. Patrick's Day design or any other elegant look influenced by Celtic style. 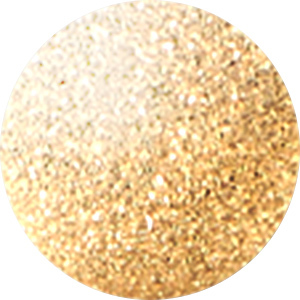 This bead features a regal gold color full of luxury. You can bring fun detail to your designs with this TierraCast bead. This bead is circular in shape and the surface is decorated with a Celtic knot pattern. It's a great option for St. Patrick's Day designs and any other project that needs some Celtic flair. This versatile bead will work in necklaces, bracelets, and earrings. It features a warm copper glow full of rich beauty. You can bring fun detail to your designs with this TierraCast bead. This bead is circular in shape and the surface is decorated with a Celtic knot pattern. It's a great option for St. Patrick's Day designs and any other project that needs some Celtic flair. Showcase this bead in long necklace strands, a fun bracelet, or even earrings. This bead features a versatile silver shine that will work with any color palette. Dress up your style with Celtic flair using this TierraCast bead. This bead features a diamond shape with an interwoven and endless Celtic knot design decorating the surface. You can showcase this versatile bead in necklaces, bracelets, and even earrings. It makes a great touch in St. Patrick's Day designs. This bead features a versatile silver shine that will work with any color palette. Dress up your style with Celtic flair using this TierraCast bead. This bead features a diamond shape with an interwoven and endless Celtic knot design decorating the surface. You can showcase this versatile bead in necklaces, bracelets, and even earrings. It makes a great touch in St. Patrick's Day designs. This bead features a regal golden shine with a classic beauty. You can bring fun detail to your designs with this TierraCast bead. This bead is circular in shape and the surface is decorated with a Celtic knot pattern. It's a great option for St. Patrick's Day designs and any other project that needs some Celtic flair. This versatile bead will work in necklaces, bracelets, and earrings. This bead features a regal golden shine full of classic beauty. Add a wonderful accent to your jewelry designs with this TierraCast bead. This bead features a geometric diamond shape. Each side is decorated with a cool Celtic knot pattern that stands out on a black background. This is a great option for St. Patrick's Day designs or any look that celebrates Irish and Celtic heritage. Pair it with green for a true Celtic look. This bead is sure to stand out in necklaces and bracelets alike. The versatile silver color will work anywhere. This silver-plated pewter heart bead from TierraCast displays a fun Celtic knot design. This particular design contains antiquing to create the black background, allowing the pattern to stand out more. The sweet heart shape is perfect for a variety of looks. Use it in St. Patrick's Day themes or Valentine's Day looks. This bead features a versatile silver shine that will complement any color palette nicely. Create amazing style in your designs with this TierraCast large-hole bead. The hole in this bead is large enough to fit over leather or rubber necklaces. The surface is decorated with a Celtic knot pattern full of intricate detail. Pair it with your favorite charm or pendant in a St. Patrick's Day design or any other elegant look influenced by Celtic style. This bead displays a warm copper shine full of rich style.